The web site of Home Hostels Valencia is to facilitate the knowledge of the trademark, its activities and services. Home Hostels Valencia reserves the right at any moment and without previous warning, to modify the information on the web site. 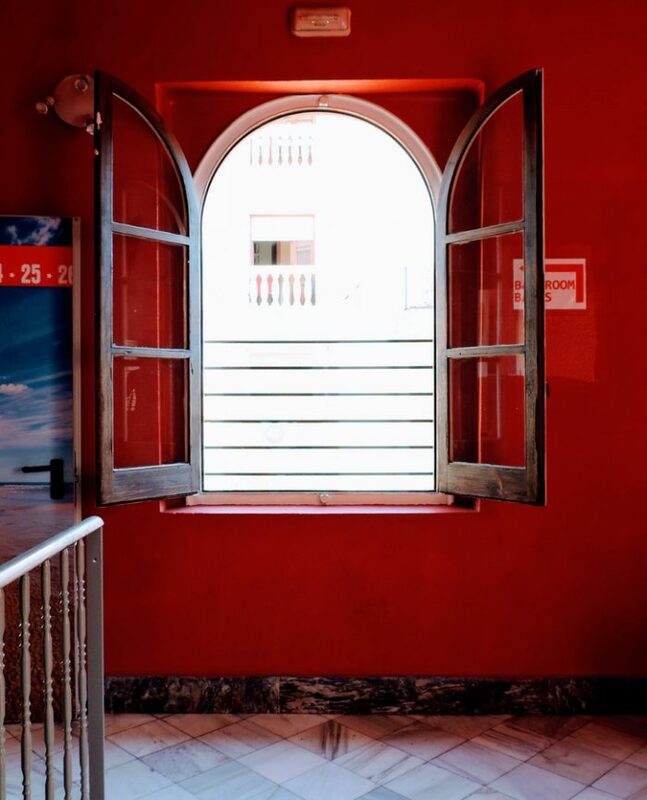 Home Hostels Valencia is not responsible for any consequences or damages that may arrive from accessing the its website, the use of any of the information contained within or the accessing of other information on the internet they may be accessed through links. Copyright 2011, Home Hostels Valencia, trademark property of FARMANIMALIA 2000, S.L. Registered in the Companies Register of Valencia, volume 5983 , book 3289, section 8, sheet 168, inscription 2, with fiscal identity number B96709845. The copyright’s holder over the web site, graphic design and codes belongs to Home Hostels Valencia. Consequently, Home Hostels Valencia reserve all rights, especially the rights of reproduction, distribution, communication to the public and transformation. • That the information and content is cited solely on the basis that it is used for information purposes only and not for commercial gain or any other distinct use that is not private or individual. • That no content contained in this web site is modified in whatever form. • That the reproduced elements will not be cited after by third parties and will not be installed on a server connected to the Internet or any local network. The software that is available for download in this web site is protected by the rights of the author. To be able to install or use any software downloaded from this site, you must previously accept the terms as stated in the Software License, if there is one, that accompanies or is included in the software. With respect to software that does not come accompanied with a Software License, Home Hostels Valencia gives to the user a license for personal use that is non-transferable on agreeing with the present terms and conditions that the rights of the author and other symbols of ownership shall forever remain intact. It is expressly prohibited to copy or reproduce the software in any server or place with the objective to later reproduce or copy. The sole function of the links that appear in this web site is for information. Home Hostels Valencia does not accept any responsibility for the information contained in any of these sites. References made in the Home Hostels Valencia website to whatever product, service, process, link or any other information using the trademark, commercial name or the name of the maker or distributor, which are belonging to third parties does not constitute, implicitly or otherwise, a recommendation, support or sponsorship on the part of Home Hostels Valencia. Home Hostels Valencia is not responsible for the possible security errors that could result when using a non-current version of a Web Browser or for the consequences that can result from the malfunction of the browser, whether it be as a result of mal-configuration, presence of a computer virus or any other cause unrelated to Home Hostels Valencia. Home Hostels Valencia is not responsible for the misuse of the content provided and reserves the right to update said content at any time, delete, limit the use of or restrict access whether temporarily or indefinitely. • Home Hostels Valencia is not responsible for any information not contained in this web site and, therefore, not created by the Home Hostels Valencia nor published with its name. • Home Hostels Valencia is not responsible for any discrepancies that might occur between the printed and electronic versions of its published material. • Home Hostels Valencia is not responsible for the use of the web site by minors of age. Home Hostels Valencia is not responsible if the content of this web in anyway hurt the sensitivity of minors. It is the responsibility of all parents to teach their children use of the Internet as a tool and accompany their children whilst using the Internet. Home Hostels Valencia promises to maintain the privacy of the personal data of our users and visitors and comply vigorously with all the legal requirements. Complying with the established law 15/1999, of December 13th, regarding Personal Data, Home Hostels Valencia guarantees to comply with the obligation of privacy with personal data and to store this data by using the necessary methods so as to avoid their alteration, loss, unauthorized access, bearing in mind at all moments the state of the technology. • The personal data gathered using forms, electronic mails or other methods will be destined, uniquely and exclusively, for the stated use indicated in the form that the user fills out. • We will not enter into any contact with any user other than that which is strictly necessary to provide the service. • You have the right to access your personal data, rectify it or cancel it by sending us an e-mail.